Lee joined Vasseur Commercial Real Estate, following an early career in ranch management and commercial construction. A graduate of TCU’s renowned Ranch Management program, with a minor in business, Lee has strong ties to the people and industries that have built Ft. Worth into one of the Nation’s fastest growing cities. In real estate, as in ranching, loyalty and the integrity to follow through on your word are held as the highest currency; and a sustainable business must be built on solid relationships. Also like ranching, real estate involves risk which must be managed by industry knowledge, careful planning and hard work. Lee understands that with effort and due diligence, risks can be mitigated and the returns considerable. He and his team can help you with analyzing opportunities, buying or selling commercial properties, tenant or landlord representation, also specializing in farm and ranch properties across Texas. 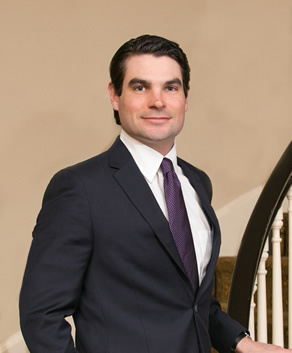 He currently holds a Texas Real Estate license and is a member of the Greater Fort Worth Association of Realtors, North Texas Commercial Association of Realtors, Texas Association of Realtors and National Association of Realtors. Lee lives in Burleson with his wife Blair and their two dogs.